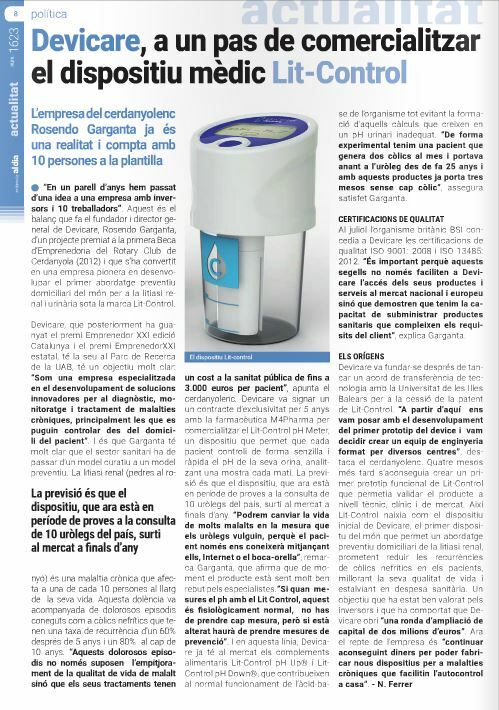 Yesterday, October 14th 2015, the newspaper Cerdanyola al dia surprised us with a wonderful article about how Devicare has transformed an idea into a pioneer company against the development of kidney stones . 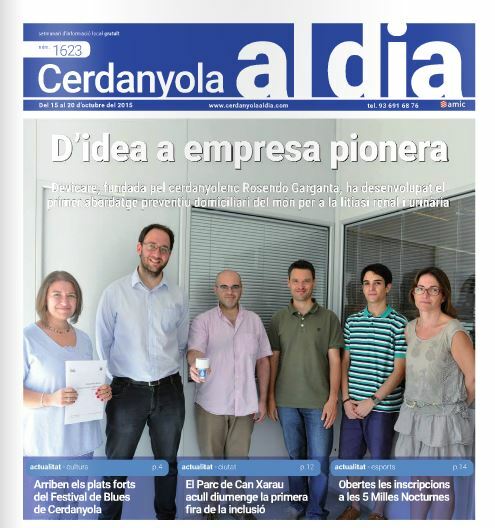 We are delighted to receive awards like these! They push us to continue working every day with commitment and dedication in order to improve the quality of life of chronic patients.